I had every intention of joining the party at Kate’s last night but, people, 10 o’clock and I rarely see one another, last night was no exception. It’s been a week of yardwork, I mean hardwork, and I was bushed and sound asleep by 9:45. I’ve never been called the life of the party – BUT, if it was at six a.m. I’d be there with coffee and gluten-free scones for everyone. 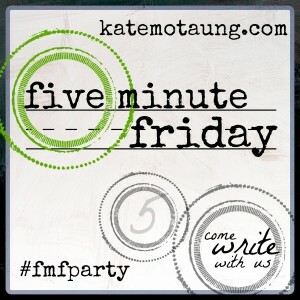 Anyone interested in changing the time for the Five Minute Friday Twitter Party! I love today’s word – there is only one thing to write on; however, there have been times when I set these fingers to the keyboard and the invisible Hand takes over…let’s go see what happens. Five minutes of writing that’s it but I will finish the post if necessary and do a graphic and (maybe) even correct an error or two…. I’m not sure where or when or who, but I was in some type of conference or class where this scripture was given to be memorized. And, being a good student I did. This is how I approach writing, I’ve been given something by the most high God – a gift of writing and sharing. But not only been given, He has taught me and pruned me and matured me as I make this journey. I am one of the elders of the FMF group and I take that as a big responsibility – never do I want to say something out of line or untrue. Oh sure, we all have a different view of things but when it comes to scripture I believe we better be ON TRACK. There are infallible truths that cannot be altered. I desire the tongue of the learned. Encouragement is another gift from my Father – I love encouraging others, giving them a “word in due season”. My heart resonates with your post. I said “Amen” as I read the Scripture you shared. Reminded me of James 3:1, “Not many of you should presume to be teachers …” But here I am … a teacher. It’s a high calling, and one that definitely requires faithfulness to the Scriptures. Thank you for being a faithful steward! Dianne, have definitely NOT been given the gift of teaching, per se, but I suppose this blogging venue is my pulpit, amen? Oh how we must be so careful. Thanks for driving over. You are indeed a good encourager…one of the best in fact! Yes God is indeed the ultimate teacher. Love you! Awww, Tara, YOU girl are easy to encourage because you’re so dang nice and sweet!!! You have a beautiful, encouraging heart. I echo your desire to teach and train up the young ones well. Have a blessed weekend. 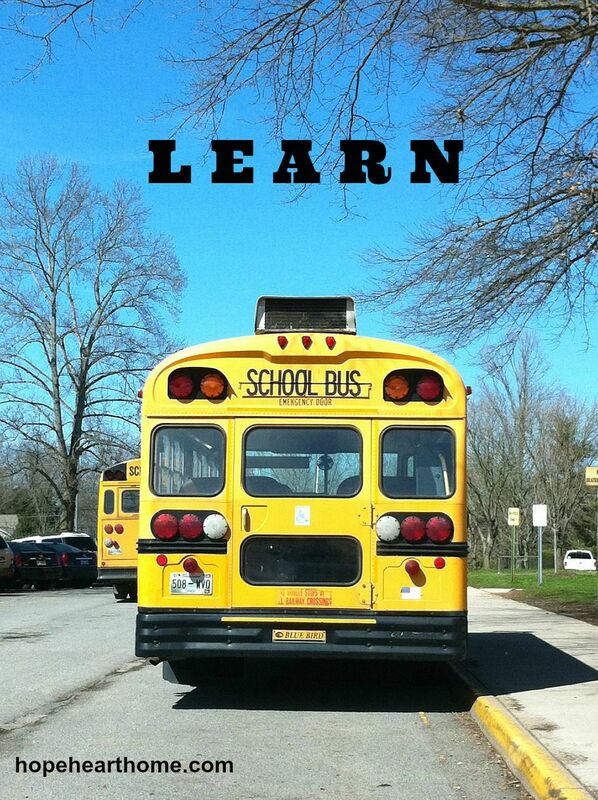 Agree with your post Susan how we have to be prepared to learn…teachable mind/spirit! Sometimes painful events help encourage our teachability! Blessings to you! Bethann, this “teachable” principle is HUGE in the Body of Christ…we really don’t “know it all” and must have teachable hearts – it’s all part of the process, amen? Thanks for visiting. Great post! I enjoyed your perspective. Love this! So thankful you are who you are and that you are a part of the FMF community! Thank you, Ms K….I am glad too! So good Susan! Jesus said we need to come to him as little children, notice He didn’t use the word teenager. We need to stay at His feet and always be teachable! Yes, ma’am….I think teachable is another blog post. Oh I love this verse, Mimi! And yes, you are right that we MUST be very careful when handling the inspired Word of God. You and me totes agree on this. I desire the tongue of the learned as well. You are a blessing. XO! Good Morning honey! Oh how I Love this, and your writing is pure Joy! I too, want to be teachable. I don’t ever want to be stiff neck, I just want to sit at his feet and soak everything he has to teach me to be his blessing, his encouragement to others. Love ya honey! We do have to have that teachable heart, Susan. I think some of my hardest lessons were when I didn’t want to be teachable, and I fought God every step of the way. Grateful for multiple lessons when I need it! As Joyce says, “If we don’t pass the test the first time? We will repeat it!! !” Thanks, Holly! Good reminder this week about maintaining a teachable spirit. I’ll be honest and say that I’ve been sulky lately. I know it’s because I’m so tired from not sleeping, but there really isn’t an excuse for sitting in a corner and pouting. Thank God He is so patient with me! Took me awhile, but I got here! …and that I’m not as all-fired smart as I sometimes think I am! Andrew, I know it’s not new news, but none of us are!!! LOL. Even when your visits are delayed – I’m just glad you come over and see me! Brave man.